If you have a pet salamander, don't plan on taking it on vacation with you. On Wednesday, the U.S. Fish and Wildlife service released a new regulation that both prohibits the importation of more than 200 species of salamanders as well as bans the transportation of these slick creatures between states. This may sound harsh, but it's for the good of the salamanders themselves. The FWS feels the need to list 201 species of these creatures as “injurious amphibians” because of concerns they will spread chytrid fungus Batrachochytrium salamandrivorans (Bsal), a particularly deadly fungus with lethal effects. So far this strain of fungus, which originated in Asia, is yet to be found in the United States, and they government hopes to keep it that way—which means acting now. "Because of the devastating effect that we expect the fungus will have on native U.S. salamanders if introduced [there is a] need to act immediately to prevent the disease from being introduced into the United States,” stated the agency in the ruling. Jenny Loda, amphibian and reptile staff attorney with the Center for Biological Diversity, told me that scientists, conservationists and some pet trade industry groups have been asking for action from FWS since the disease was first reported in 2013. She said the fungus invades the skin, and the fact that salamanders have permeable skin likely plays a role in their vulnerability to this disease. 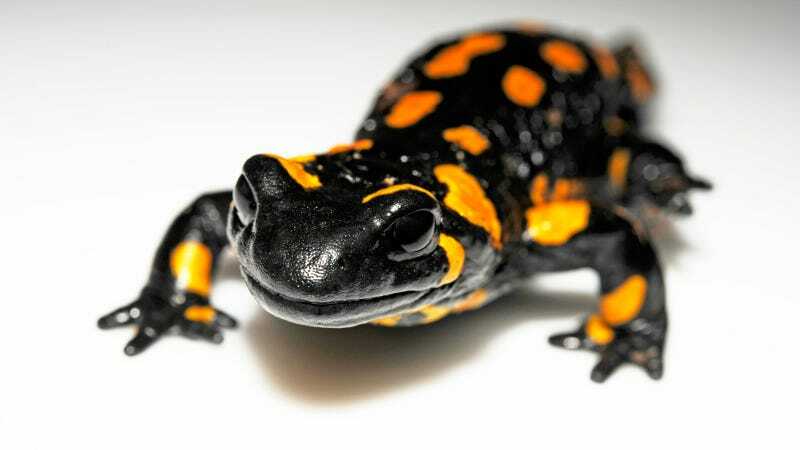 Bsal, a highly virulent pathogen, has already nearly wiped out certain species of salamanders in the Netherlands and Belgium, according to the CBD. The fungi is itself a relative of an even more prevalent amphibian killer, chytrid fungus Batrachochytrium dendrobatidis (Bd), which has contributed numerous amphibian declines in the United States and is a primary factor in the rapid decline of mountain yellow-legged frog populations. "We are usually not so lucky and don’t know about a disease affecting our wildlife species until it already has a foothold here and starts to spread, as with Bd and with white-nosed syndrome in bats," said Loda. Environmentalists and biologists fear a repeat occurrence of what happened with Bd in the 1990s, when humans spread it around the world. It now threatens hundreds of species with extinction. Human impact on amphibians doesn't end there. Around one-third of the country's salamanders are already at risk of extinction due to other threats driven by climate change, habitat loss, pesticides and other pollutants. Globally, this percentage is around the same for all amphibians. For comparison, some 12% of birds and 23% of mammals are considered threatened. For now, Bsal continues to spread in Europe, where, unlike in Asia, it is proving to be highly lethal to many amphibians. In the past year infections have been discovered in three species of European salamanders imported to the United Kingdom. If the thriving amphibian pet trade continues unchecked, it is likely only a matter of time before the pathogen crosses the pond. According to the FWS, between 2004 and 2014, nearly 2.5 million live salamanders, representing 59 species, were imported into the United States. Out of all the imported salamanders, around 70% were Chinese and Japanese newts within the Cynops genus, a group of amphibians expected to act as carriers of the disease, according to the CBD. For those who already have plans to travel with salamander, the rule will not be officially enacted for 15 days, so make haste. After that, violators of the law will face fines and the possibility of a prison sentence of up to six months. And worst of all—the salamander will be confiscated. Since the rule is an interim rule, there will also be a 60-day comment period after which modifications may be made. The FWS considered inspecting salamanders rather than banning their transportation, but determined it was too difficult to tell quickly which ones were healthy and which ones harbored the fungus. Loda said there will likely be more fungal diseases in the future that will make maintaining healthy ecosystems even harder than it already is. "In regards to Bsal, in some ecosystems salamanders are keystone species and so major declines or losses of these species can majorly impact those ecosystems," she said.